With summer right around the corner, you might want to consider enhancing your vinyl deck with a few accessories to maximize enjoyment this year. 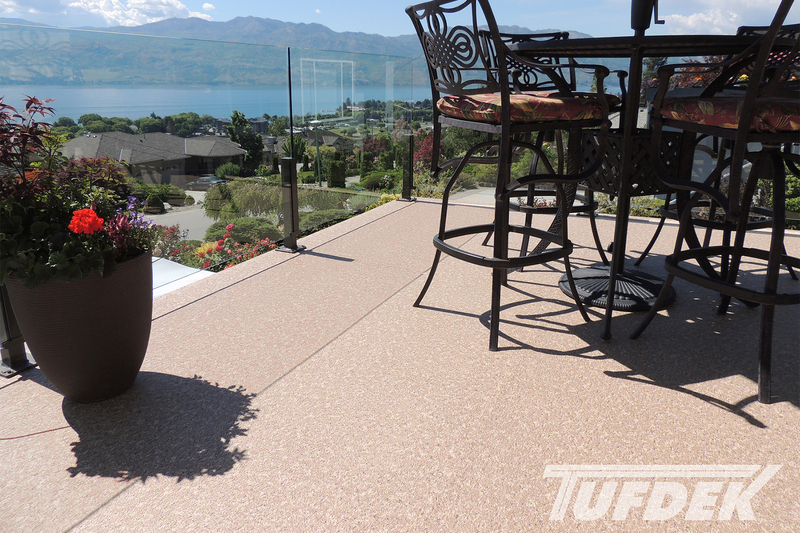 Tuff Industries has a few suggestions to suit any deck, on any budget. On clear, hot (hot!) days do you enjoy your deck, or hide inside? If the answer is the latter, perhaps it’s time to find a way to cool down while still getting the most out of your vinyl deck. A misting hose is a great option and can cool the area it mists by up to 20 degrees. For less than $20 you can add this feature to your deck and stop hiding from the heat. Find misting hoses at local hardware and outdoor living stores, such as Home Depot and Lowes. Cooking bacon, indoors or out, can be quite a pain – but with a bacon grilling rack, you’ll marvel at just how easy it can be. Simply drape the bacon over the stainless steel stand and pop it on the grill – all the fat will drain into the bottom receptacle for easy cleanup. Soon you’ll be finding new ways to incorporate bacon into every barbecue (as if an excuse was needed!). For the tech-savvy who can’t live without their iPhones, laptops, and tablets – or the freelance worker who wants to take their tasks outside – this Earth-friendly feature not only gives you a place to sit and put your drink, it also charges your batteries! Although a bit of an investment, it’s perfect for smaller vinyl decks that might not have room for a full-size table as well as offering the convenience of a quick charge. Alternatively, throw a more affordable solar panel on your roof and make the cords accessible. Fire bowls are all the rage these days and a great alternative to campfires (especially in areas frequently subject to campfire bans). There are certainly a wide range of bowls available at local outdoor stores, but for the budget-conscious a homemade fire bowl is perfect. All you need is a can of gel alcohol fuel, a wide terra-cotta container, and some tumbled recycled glass to surround the fuel can. Voila! Remember to place a layer of heat-resistant material below the container when adding a fire bowl to your deck, to ensure that you don’t accidentally damage the vinyl membrane that protects your deck surface. Find materials at outdoor/hardware stores like Canadian Tire. Large decks can have an issue where the vinyl deck surface, no matter how new and lovely, looks a bit…blah. Breaking up this space with an outdoor rug can be just the ticket to adding a touch of personality. With the range of shapes, sizes, materials, and colours of outdoor rugs you’ll be hard-pressed to find just one that you like best. Check your local outdoor furniture store, Ikea, or online for options. Permanent shade structures are all well and good, but what if you don’t want shade all the time? Installing a retractable canvas shade can be a great solution – you can retract the shade when you want to enjoy the sun and take it down in the winter or during storm season. You can also use the shade as an opportunity to add some colour to your deck with the range of colours and patterns available. Find a range of options at Home Depot, check out Shade Tree Canopies, or talk to a deck contractor about custom options. 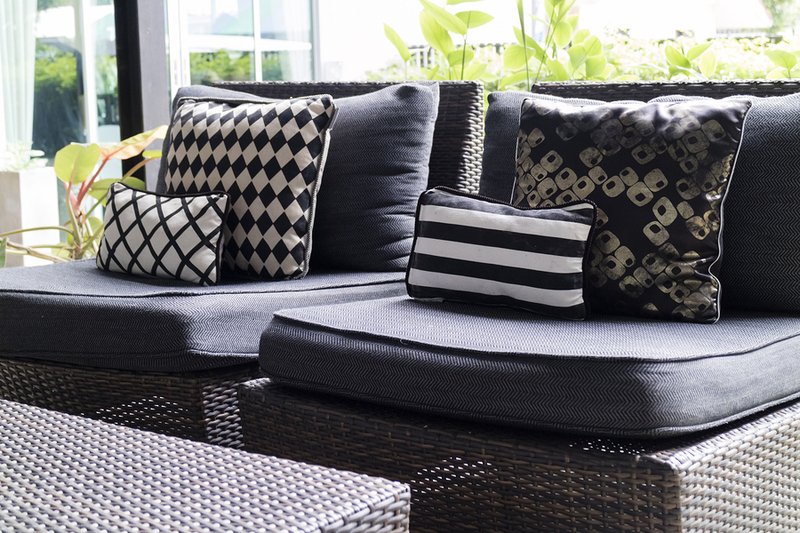 Adding a few throw pillows not only makes your deck more colourful, it also makes it more comfortable. The great thing about throw pillows and seat pads is that they are so affordable and can easily be changed out in a few years to refresh your vinyl deck’s look – so it always feels new and improved. You can make your own pillows or look for them in local stores and online. Check out home and outdoor stores, or make your own with your favourite outdoor fabric! Is your deck too small for a regular patio table, or do you want your umbrella in a different location? Sure, you could go out and buy a stand, but why not build one? A homemade umbrella table doubles as a side table so you can perch your drinks while you enjoy some shade. Give it a Google and find out just how easy it is! With all these great accessories, you’ll want to make sure that your vinyl deck is in good condition – perhaps it’s time to have a professional vinyl deck contractor take a look. After all, if you’re worried about the state of your deck how can you enjoy it? 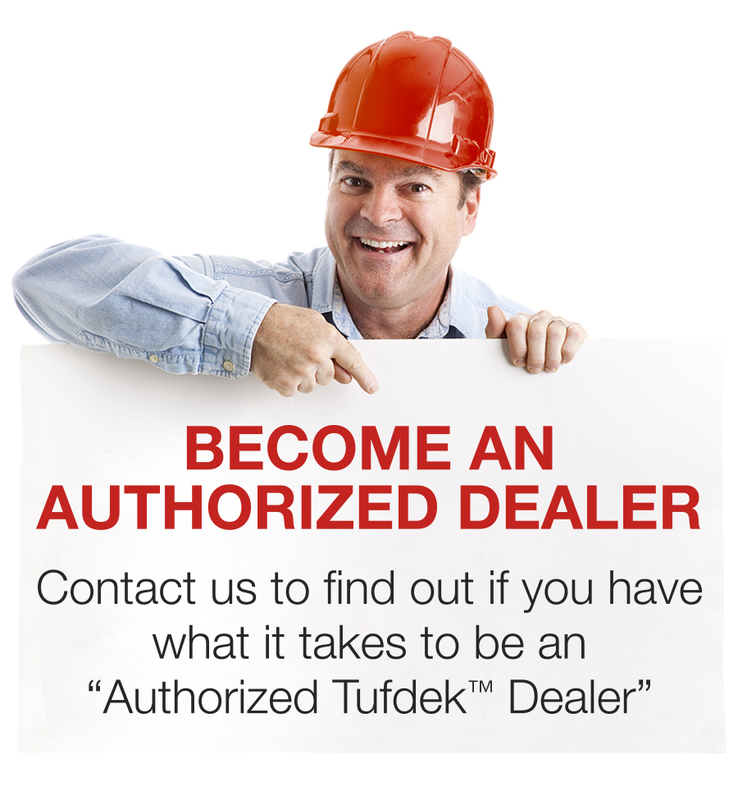 Tufdek™ is here to help, with maintenance tips, selection advice, as well as some great products to revitalize your deck or patio!